I'm afraid I don't have much to share this week. I spent most of my week working on client images and didn't take many of my own family. When I'm not editing, marketing or catching up on client correspondence, I have been trying to focus on my own kiddos and husband. That usually means setting photography aside for a bit and just playing. We also had a return of winter this week, which left me feeling less than inspired. I had hoped to get out and at least capture some early spring blooms, but it was just too icky out. 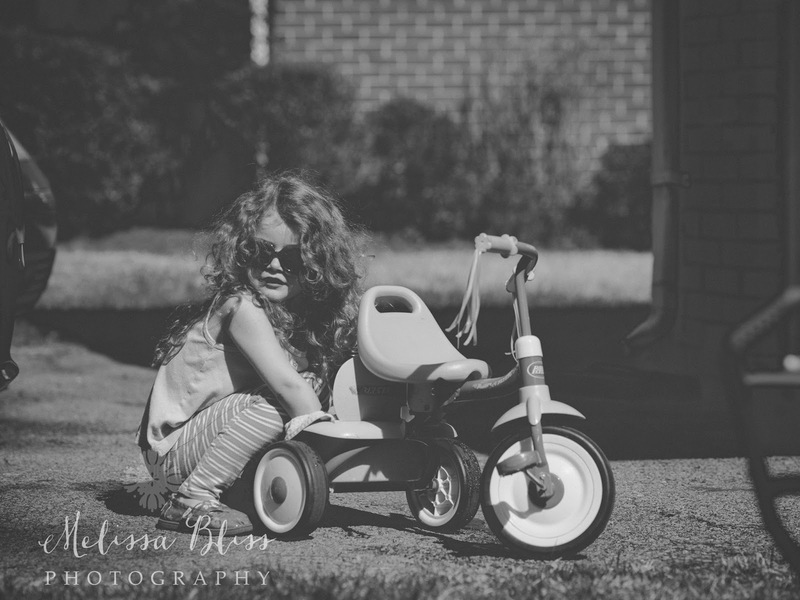 So, I'll leave you with just this image of my girl, "working" on her bike. So sweet. Have a great weekend! Good busy is good! Love that smile and sun kissed face. Have a fantastic weekend. Yes, sometimes photography can get in the way of actually living and enjoying life. It's important to capture, but also to live the full experience. Great photo of your daughter! I hear you on not picking up the camera in your off time. LOVE this image - what a little doll. So adorable. Hugs - enjoy your snippets of family time- you need it.